About 4 months ago my stock gearbox cracked, swapped it with a 106GTI box. Previously with my stock gearbox i could get to about 95kmh before going into thirth, now i need to shift at 80kmh. Your opinion? im thinking about raising the redline, or what else do i have to do to make my gearbox more efficient, it feels like i need to shift just before the fun starts. The 49 viewers that viewed this post have no idea? Last edited by Vinootje; 26th March 2019 at 19:57. The 106 gti box should give you better acceleration overall. This is a common 'upgrade' on the VTR. I would stick with it personally. 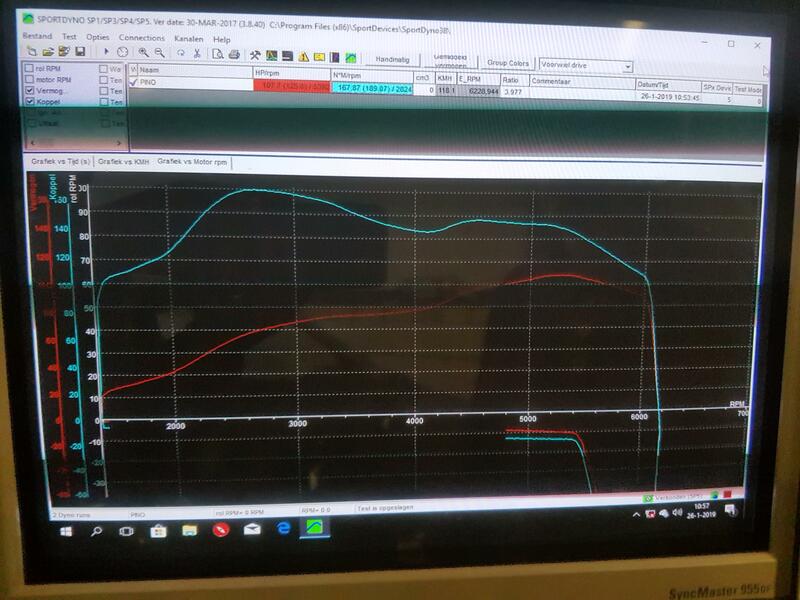 Well it gives probably a smoother acceleration, i think my car has more potention if i could increase my redline, my ph1 8v which should have 89hp and 135nm has been on the dyno, results are 107.7whp and 169nm on the wheels. With the GTI gearbox it does accelerate nice but i have to shift at 6000 rpm already. I had to put this box on, since it is my daily i had to fix it asap. I did notice that my 8v has longer gears.